What is a “Heart-Healthy Diet”? 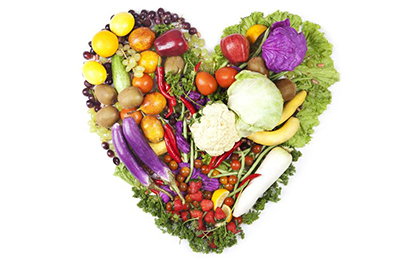 The evolution of what is considered to be a “heart-healthy diet” has undergone a long process of development. For instance, we have the low-fat diet, the glycemic-index diet, the Mediterranean diet, and the low-carbohydrate diet. Each seems to have its own strengths, but this makes following an over-arching “heart-healthy diet” confusing. In this series, we take a closer look at commonalities and differences between these dietary patterns, defining an underlying bottom-line. We will explore some of the most commonly recommended diets for cardiovascular health, diabetes, and weight loss, and will critically evaluate the health outcomes and limitations of each. Buckle up! The concept of dietary glycemic index (GI) was first introduced by Dr. David J. Jenkins and his colleagues from the University of Toronto in the 1980s. Foods are ranked based on their ability to raise glucose levels (blood sugar) when they are metabolized. White sugar gets the highest score (100), and all other foods are assigned values comparatively. Foods which are higher in protein or fat will take longer to be broken down, and will therefore have a lower GI. The term ‘glycemic load’ (GL) was later introduced to provide a more accurate prediction of the glucose-raising effect of each food, based on a typical serving size. The GL is calculated by multiplying the GI by the carbohydrate content per serving. Applying the GI concept means consuming primarily low-GI foods as well as eating smaller, more frequent meals to encourage healthy maintenance of blood sugar levels — an essential goal for diabetics but also important for anyone looking to lose weight or avoid food cravings. A sample of some common foods and their GI classification can be found in the table below. The GI diet has been the subject of much clinical study. The benefits of a low-GI diet for diabetics have been consistently reported, even when compared to a conventional diabetes diet. Conversely, a high-GI diet has repeatedly been shown to increase the risk for cardiovascular disease in multiple large-scale, long-term trials or published reviews. A Cochrane review highlighted the evidence for weight loss among overweight or obese individuals and found the decrease in body mass, total fat mass, and body mass index (BMI) to be significantly greater in participants on a low GI diet. Even when the number of calories was not restricted, the low-GI-diet group fared as well or better than the comparison study group who followed a more conventional, energy-restricted, low-fat diet. This review also noted the beneficial effect of the low-GI diet on blood lipid parameters. Specifically, the low-GI diet reduced total cholesterol and low-density lipoprotein cholesterol (LDL‑C) levels. The Mediterranean diet, which is inspired by the traditional dietary patterns of southern Spain, Italy, and Greece, has long been referred to as the “gold standard” for cardiovascular health. This diet includes high consumption of fruits and vegetables, whole grains and cereals, fish, legumes, and olive oil, with a moderate consumption of low-fat dairy products (mostly cheese and yogurt) and red wine, and a low intake of red meat. Across a large body of clinical evidence, the Mediterranean diet has shown benefit on numerous cardiovascular parameters, including significant improvements in blood pressure  and blood lipid panels, as well as reducing atherosclerosis (“plaques”)  and markers of inflammation. The beneficial effect of the Mediterranean diet in preventing the onset of diabetes and improving glucose tolerance has also been well-documented in most, though not all, studies. This diet can also improve cardiovascular health in patients post-heart attack, and has been shown to reduce the risk of mortality following a cardiovascular event  by up to 50%. Furthermore, the cardioprotective effects of the Mediterranean diet have been shown to be preserved over many years, even after the diet has been discontinued, and even if partial regain of weight has occurred. Finally, a recent review found that adherence to the Mediterranean diet reduced all-cause mortality. The Mediterranean diet has been shown to promote weight loss, with an average of 4.4 kg lost in a 2-year intervention. Participants who followed a calorically restricted Mediterranean diet were found to have maintained a greater degree of weight loss when compared to a low-carbohydrate diet, even four years after termination of the study. Of note in this study is that after the intervention, a majority (67%) of the participants voluntarily stayed on the diet to which they had been assigned. An additional benefit of the Mediterranean diet is its ability to significantly lower leptin levels. Leptin, a hormone responsible for producing a sense of satiety after a meal, has been implicated as a causative mechanism behind resistance to weight loss in overweight and obese individuals. The term “leptin resistance” is used to describe a situation where high levels of leptin fail to “turn off” the hunger signal. A recent systematic review was conducted to assess a causal link between the common foods consumed on the Mediterranean diet and cardiovascular disease. The findings included strong evidence of a protective effect of this diet, and in particular for the intake of vegetables, nuts, and monounsaturated fats. This review noted moderate evidence in support of the role of fish, whole grains, alcohol, fruit, and fiber on cardiovascular health, while the evidence for the protective effect of dairy products was weak. During the late 1990s and early 2000s, the low-carbohydrate diet gained major acclaim because of its impressive results with weight loss, but also stirred up controversies within the medical community. The diet, which restricts total carbohydrate intake to 20% or less of the total energy intake per day, instead encourages foods which are high in protein and fat, such as animal products, fish, full-fat dairy, nuts, seeds, and oils. The ideas were so contrary to the typical high-carbohydrate diets being recommended at that time that concerns among the medical community began to emerge. First, concern arose in regard to the health effects of increasing fat, and particularly saturated fat intake. Second, many are wary of this diet due to its potential to induce ketosis if the diet is very restricted. Ketosis is a state where the body is primarily burning fat as fuel, which is good in a healthy individual, but can turn into a medical emergency in individuals with poor blood-sugar control, such as individuals with type 1 diabetes or long-standing type 2 diabetes. Despite these concerns, the popularity of the low-carbohydrate diet continued to grow, and so did the bulk of scientific literature in support of the health benefits associated with it. Opinions gradually began to shift, with the diet being accepted by the American Diabetes Association in 2008 as a legitimate strategy for short-term weight loss (up to 1 year) among individuals with type 2 diabetes. When compared to a conventional low-fat diet, the low-carbohydrate diet boasts significant benefits for weight loss, even when calories are not restricted. Basically, this means that individuals on the low-carbohydrate diet are able to eat freely of the low-carbohydrate choices, and they still lose weight! This same result has never been demonstrated in a high-carbohydrate or low-fat diet. The average weight loss on a low-carbohydrate diet has been reported to be 4.7 kg amongst participants following a calorically unrestricted diet over a 2‑year intervention. This number is comparable to the results found in other studies of shorter duration. One reason for the success at inducing weight loss is that the low-carbohydrate diet has consistently been shown to reduce appetite and induce a spontaneous drop in daily caloric intake, even when the amount of food on the diet is unrestricted. Furthermore, one study noted that the low-carbohydrate dieters showed a significant decrease in cravings for high-sugar and starchy foods as compared to the low-fat dieters. Along with its success at promoting weight loss, the low-carbohydrate diet has also been shown to actually improve cardiovascular risk factors, including lowering blood pressure and improving glucose control and cholesterol profiles. In a study of patients with type 2 diabetes, the low-carbohydrate diet was shown to improve glycemic control such that most participants were able to reduce or discontinue their diabetes medications. The results of other long-term studies have not all been as favorable, however. Several studies have recently emerged which suggest that the low-carbohydrate diet should be reserved as a short-term intervention only, given an increased risk in all-cause mortality noted with long-term use of the diet. Further criticisms of the low-carbohydrate diet include a substantial increase in calcium loss found in one study, which may translate into harmful effects on the kidneys or bones. Research surrounding the Paleolithic diet continues to call into question the benefit of a low-fat or low-cholesterol diet. It has been proposed that this dietary regime, which more closely mimics the foods that were regularly consumed during a major period of human evolution, may be optimally suited for our genome, and may be key in the prevention and treatment of many “Western” diseases, most notably obesity, type 2, diabetes and cardiovascular disease. The rationale behind this diet is that our genetics have had little time to evolve during the relatively short time span since the development of agriculture and the introduction of grains in our diet. 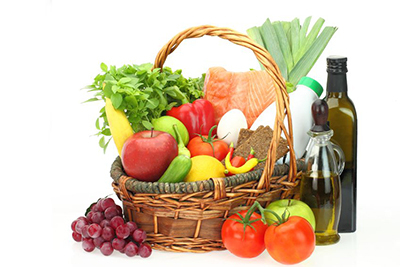 The Paleolithic diet includes the consumption of lean meat, fish, fruits, vegetables, eggs, and nuts. It excludes all grains, dairy, beans and legumes, salt, refined sugars, processed oils, soft drinks, and beer. In many of the studies, certain food items were permitted in a limited quantity, such as eggs (no more than 1–2 per day), potatoes (no more than 1–2 per day), canola or olive oil (no more than 1 tbsp. per day), and wine (no more than 1 glass per day). 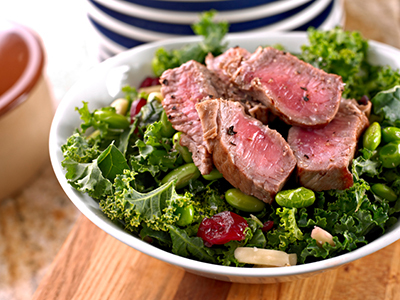 The Paleolithic diet consistently improves blood sugar control, both in diabetic  and healthy individuals. Furthermore, the Paleolithic diet lowers blood pressure, weight, BMI, and leptin levels, and improves blood-lipid profiles. Having an effect on leptin levels is a highly important finding since leptin, a hormone released from fat cells, has been implicated as a key mechanism for resistance to weight loss in overweight and obese individuals. It has been proposed that specific components in cereals may in fact cause leptin resistance and disturb appetite regulation. With respect to weight loss, the Paleolithic diet shows a consistent improvement in satiety when compared to other diets. Satiety has been reported to improve by 20–30% when comparing the Paleolithic to the Mediterranean diet. A spontaneous decrease in the total number of calories taken in has consistently been noted in the studies. The implications of this finding, of course, are huge, especially to long-term maintenance of weight loss. The reduced caloric intake noted in one study would translate into about 3.2 kg of weight lost per 3 months. Interestingly, the Paleolithic diet has been found to have a lower glycemic load than a traditionally recommended diabetes diet  and the Mediterranean diet. The main difference between the Paleolithic diet and the Mediterranean diet is a much lower intake of cereals and milk, and a higher intake of fruit, vegetables, nuts, and meat. Limitations of the Paleolithic diet include a low amount of calcium intake due to the exclusion of all dairy products, as well as the potentially greater exposure to environmental toxins from the high intake of fish. The long-term effect of a high intake of dietary protein, especially in diabetics, remains to be studied. Having examined the evidence for four heart-healthy diets, this series leads us to the following conclusions: The typical Western diet is exceptionally poor in its nutrient composition and figures prominently in weight gain, blood-sugar dysregulation, and increased risk of cardiovascular disease. The relatively recent evolution of the human diet to include non-perishable flour products and sugar may be central to the development of Western diseases, as our genetics are not “primed” to digest these foods. Central to all four of the heart-healthy diets is the inclusion of high-quality protein sources and beneficial fats and oils. Switching from a carbohydrate-dominant diet to a diet with a relatively higher intake of protein can help initiate and sustain weight loss, and is beneficial to cardiovascular health, at least in the short term. The type of dietary fats consumed is much more important than the total amount of fat in the diet. The composition of fats and oils favored in the Mediterranean diet has prominent cardiovascular-protective benefit. An increased intake of fruits and vegetables is beneficial for blood-sugar regulation, cardiovascular health, and weight loss. The evidence in favor of a whole-foods-based dietary approach in the prevention and treatment of chronic metabolic diseases is irrefutable. Spreadbury, I. “Comparison with ancestral diets suggests dense acellular carbohydrates promote an inflammatory microbiota, and may be the primary dietary cause of leptin resistance and obesity”. Diabetes, Metabolic Syndrome and Obesity: Targets and Therapy Vol. 5 (2012): 175–189. Scholl, J. “Traditional dietary recommendations for the prevention of cardiovascular disease: Do they meet the needs of our patients?” Cholesterol Vol. 2012 (2012): 367898. Jenkins, D.J., et al. “Glycemic index of foods: a physiological basis for carbohydrate exchange”. The American Journal of Clinical Nutrition Vol. 34, No. 3 (1981): 362–366. Foster-Powell, K., S.H. Holt, and J.C. Brand-Miller. “International table of glycemic index and glycemic load values: 2002”. The American Journal of Clinical Nutrition Vol. 76, No. 1 (2002): 5–56. Livesey, G., et al. “Glycemic response and health — a systematic review and meta-analysis: relations between dietary glycemic properties and health outcomes”. The American Journal of Clinical Nutrition Vol. 87, No. 1 (2008): 258S–268S. Thomas, D. and E.J. Elliott. “Low glycaemic index, or low glycaemic load, diets for diabetes mellitus”. The Cochrane Database of Systematic Reviews Vol. 1 (2009): CD006296. Jenkins, D.J., et al. “Effect of a low-glycemic index or a high-cereal fiber diet on type 2 diabetes: a randomized trial”. JAMA : the Journal of the American Medical Association Vol. 300, No. 23 (2008): 2742–2753. Brand-Miller, J., et al. “Low-glycemic index diets in the management of diabetes: a meta-analysis of randomized controlled trials”. Diabetes Care Vol. 26 (2003): 2261–2267. Mente, A., et al. “A systematic review of the evidence supporting a causal link between dietary factors and coronary heart disease”. Archives of Internal Medicine Vol. 169, No. 7 (2009): 659–669. Halton, T.L., et al. “Low-carbohydrate-diet score and the risk of coronary heart disease in women”. The New England Journal of Medicine Vol. 355 (2006): 1991–2002. Beulens, J.W., et al. “High dietary glycemic load and glycemic index increase risk of cardiovascular disease among middle-aged women: a population-based follow-up study”. Journal of the American College of Cardiology Vol. 50 (2007): 14–21. Stevens, J., et al. “Dietary fiber intake and glycemic index and incidence of diabetes in African-American and white adults: the ARIC study”. Diabetes Care Vol. 25 (2002): 1715–1721. Thomas, D.E., E.J. Elliott, and L. Baur. “Low glycaemic index or low glycaemic load diets for overweight and obesity”. The Cochrane Database of Systematic Reviews Vol. 3 (2007): CD005105. Jönsson, T., et al. “A Paleolithic diet is more satiating per calorie than a Mediterranean-like diet in individuals with ischemic heart disease”. Nutrition & Metabolism Vol. 7 (2010): 85. Nordmann, A.J., et al. “Meta-analysis comparing Mediterranean to low-fat diets for modification of cardiovascular risk factors”. The American Journal of Medicine Vol. 124, No. 9 (2011): 841–851. Canfi, A., et al. “Effect of changes in the intake of weight of specific food groups on successful body weight loss during a multi-dietary strategy intervention trial”. Journal of the American College of Nutrition Vol. 30, No. 6 (2011): 491-501. Trovato, G.M., et al. “Lifestyle interventions, insulin resistance, and renal artery stiffness in essential hypertension”. Clinical and Experimental Hypertension Vol. 32, No. 5 (2010): 262–269. Shai, I., et al. 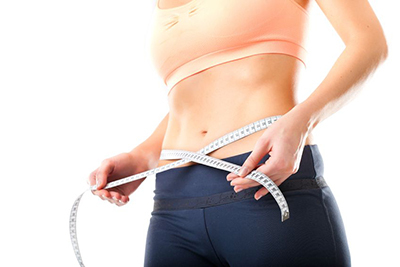 “Weight loss with a low-carbohydrate, Mediterranean, or low-fat diet”. The New England Journal of Medicine Vol. 359, No. 3 (2008): 229–241. Lindeberg, S., et al. “A Palaeolithic diet improves glucose tolerance more than a Mediterranean-like diet in individuals with ischaemic heart disease”. Diabetologia Vol. 50, No. 9 (2007): 1795–1807. de Lorgeril, M., et al. “Mediterranean diet, traditional risk factors, and the rate of cardiovascular complications after myocardial infarction: final report of the Lyon Diet Heart Study”. Circulation Vol. 99, No. 6 (1999): 779–785. de Lorgeril, M., et al. “Mediterranean alpha-linolenic acid-rich diet in secondary prevention of coronary heart disease”. The Lancet Vol. 343, No. 8911 (1994): 1454–1459. Menotti, A., et al. “Inter-cohort differences in coronary heart disease mortality in the 25-year follow-up of the seven countries study”. European Journal of Epidemiology Vol. 9, No. 5 (1993): 527–536. Schwarzfuchs, D., R. Golan, and I. Shai. “Correspondence: Four-year follow-up after two-year dietary interventions”. The New England Journal of Medicine Vol. 367, No. 14 (2012): 1373–1374. Sjögren, P., et al. “Mediterranean and carbohydrate-restricted diets and mortality among elderly men: a cohort study in Sweden”. The American Journal of Clinical Nutrition Vol. 92 (2010): 967–974. American Diabetes Association. “Nutrition Recommendations and Interventions for Diabetes: a position statement of the American Diabetes Association”. Diabetes Care Vol. 31 (2008): S61–S78. Hite, A.H., V.G. Berkowitz, and K. Berkowitz. “Low-carbohydrate diet review: shifting the paradigm”. Nutrition in Clinical Practice Vol. 26, No. 3 (2011): 300–308. Gardner, C.D., et al. “Comparison of the Atkins, Zone, Ornish, and LEARN diets for change in weight and related risk factors among overweight premenopausal women: the A to Z Weight Loss Study: a randomized trial”. JAMA : the Journal of the American Medical Association Vol. 297, No. 9 (2007): 969–977. Weigle, D.S., et al. “A high-protein diet induces sustained reductions in appetite, ad libitum caloric intake, and body weight despite compensatory changes in diurnal plasma leptin and ghrelin concentrations”. The American Journal of Clinical Nutrition Vol. 82, No. 1 (2005): 41–48. Due, A., et al. “Effect of normal-fat diets, either medium or high in protein, on body weight in overweight subjects: a randomised 1‑year trial”. International Journal of Obesity and Related Metabolic Disorders Vol. 28, No. 10 (2004): 1283–1290. Beasley, J.M., et al. “Associations between macronutrient intake and self-reported appetite and fasting levels of appetite hormones: results from the Optimal Macronutrient Intake Trial to Prevent Heart Disease”. American Journal of Epidemiology Vol. 169, No. 7 (2009): 893–900. Martin, C.K., et al. “Change in food cravings, food preferences, and appetite during a low-carbohydrate and low-fat diet”. Obesity Vol. 19, No. 10 (2011): 1963–1970. Foster GD, et al. “Weight and metabolic outcomes after 2 years on a low-carbohydrate versus low-fat diet: a randomized trial”. Annals of Internal Medicine Vol. 153, No. 3 (2010): 147–157. Yancy, Jr, W.S., et al. “A low-carbohydrate, ketogenic diet to treat type 2 diabetes”. Journal of Nutrition and Metabolism Vol. 2, No. 1 (2005): 34. Trichopoulou, A., et al. “Low-carbohydrate-high-protein diet and long-term survival in a general population cohort”. European Journal of Clinical Nutrition Vol. 61, No. 5 (2007): 575–581. Lagiou, P., et al. “Low carbohydrate–high protein diet and mortality in a cohort of Swedish women”. The Journal of International Medical Research Vol. 261, No. 4 (2007): 366–374. Reddy, S.T., et al. “Effect of low-carbohydrate high-protein diets on acid-base balance, stone-forming propensity, and calcium metabolism”. American Journal of Kidney Disease Vol. 40, No. 2 (2002): 265–274. Jönsson, T., et al. “Beneficial effects of a Paleolithic diet on cardiovascular risk factors in type 2 diabetes: a randomized cross-over pilot study”. Cardiovasc Diabetol Vol. 8 (2009): 35. Cordain, L., et al. “Origins and evolution of the Western diet: health implications for the 21st century”. The American Journal of Clinical Nutrition Vol. 81 (2005): 341–354. Osterdahl, M., et al. “Effects of a short-term intervention with a Paleolithic diet in healthy volunteers”. European Journal of Clinical Nutrition Vol. 62, No. 5 (2008): 682-5. Frassetto, L.A., et al. “Metabolic and physiologic improvements from consuming a Paleolithic, hunter-gatherer type diet”. European Journal of Clinical Nutrition Vol. 63, No. 8 (2009): 947-55. Foster, G.D., et al. “A randomized trial of a low-carbohydrate diet for obesity”. The New England Journal of Medicine Vol. 348, No. 21 (2003): 2082-90.